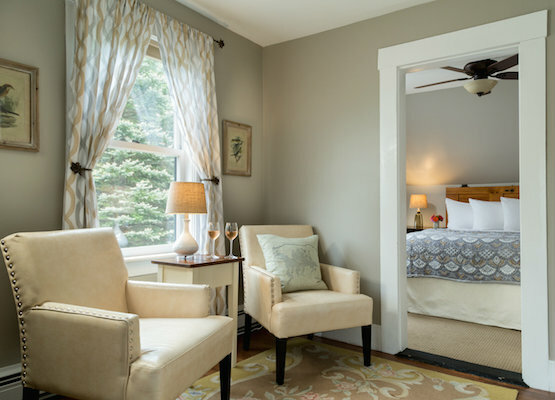 Our romantic hotel near Plymouth, NH offers a wonderful New Hampshire getaway. This upstairs suite has a king size bed, gas fireplace and cozy seating area. This room is decorated in greige, yellows and natural wood tones overlooks the front of our hotel. Guests enjoy a private bath with shower, ceiling fan, the A/C and the 32″ flat panel TV. 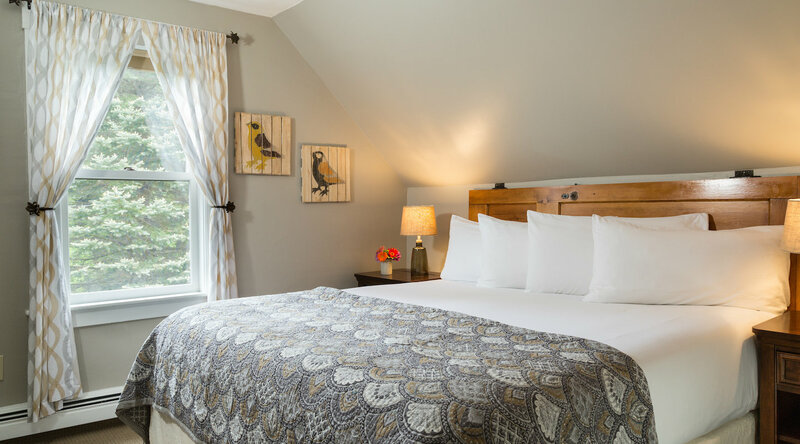 Find your perfect room in our boutique hotel located near Lake Winnipesaukee and plan a getaway to remember.